Nicholas James Vujicic (Nick Vujicic) was born with no arms and no legs but he can stand tall brimming with hope, confidence and courage amid the challenges the world offers. Nick Vujicic is prominent inspirational Speaker. Nick believes Attitude is Altitude and made his life fruitful and successful. 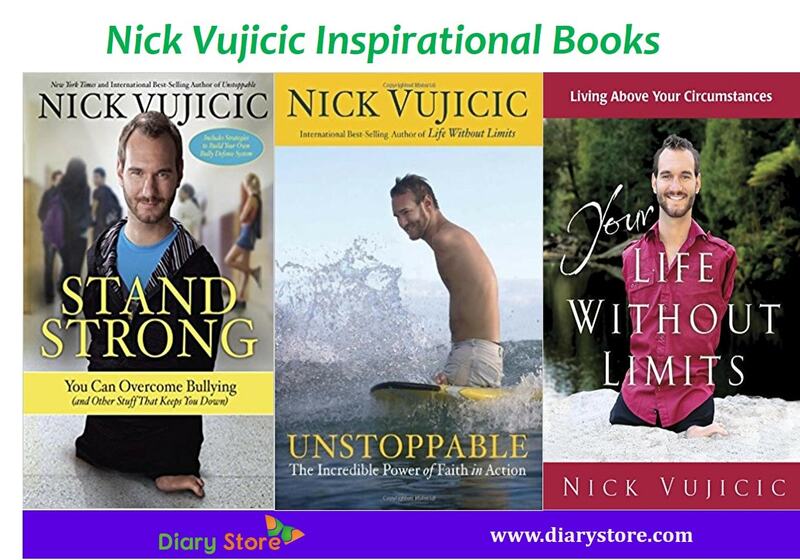 Nick authored very famous books, Life without Limits: Inspiration of a Ridiculously Good Life; You’re Life without Limits and Love without Limits. Nick is an Australian Christian evangelist and motivational speaker. Nick Vujicic was born with Phocomelia which is a very rare congenital disorder and characterized by the absence of legs and arms. His lack of limbs made him a target for school bullies and he fell into a severe depression but his love for his parents prevented him from following through. Nick Vujicic was born in Melbourne, Australia on 4thDecember 1982. His parents are Dusanka and Borislav Vujicic. His father worked in business management, while his mother attended nursing school at the Royal Children's Hospital in Melbourne. As a child Nick struggled physically, mentally and emotionally. When he was 8 years old he attempted suicide and at age ten tried to drown himself in his bathtub. When he was seventeen years old his mother showed him a newspaper article about a man dealing with a severe disability and this article was the key turning point in his life. After this, Nick realized his accomplishments could inspire others. Today his speeches give hope and meaning for life to millions of people. At the age of 21, Nick Vujicic graduated with a Bachelor degree in finance and accounting from Griffith University. As Nick grew up, he learned to deal with his disability and gradually became more adept with an electric wheelchair, a computer and a mobile phone and he also learned painting, swimming, surfing, golf and sky diving. At the time of secondary schooling, he was selected captain of MacGregor State in Queensland and he worked with the Student Council in fundraising events for local charities and disability campaigns. Nick started to give talks at his prayer group, when he was seventeen years old. In 2005, Vujicic founded his non-profit organization ` Life without Limbs`. He founded Attitude is Altitude, a secular motivational speaking company in 2007. Nick also acted in a short film The Butterfly Circus. He got an award for Best Actor in the film for his role as Will, at the Method Fest Independent Film Festival in 2010. Nick met Kanae Miyahara in 2008 in McKinney, Texas, near Dallas. She had come to hear his motivational speech. They married on 12 February 2012. The couple has two sons and they live in southern California. You’re Life without Limits (2012).